The Multimat Superlite 25 Sleeping Mat is an ideal choice for those seeking a cheaper alternative to the Therm-A-Rest ProLite Sleeping Mat. 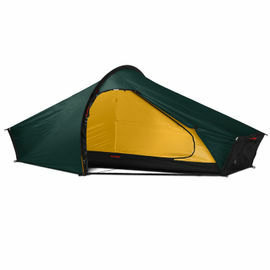 And despite the difference in price, the Superlite 25 is still an exceptional mat, in both build quality and weight. This is the latest version of the Superlite 25, which now features a tapered 'mummy' shape, helping to keep the weight and pack size to an absolute minimum. A 4-season sleeping mat, the Superlite 25 can handle use in temperatures ranging from -15°C to +55°C. Manufactured using only the highest quality components, each mat comes with a 2 year guarantee and is produced in MOD Green and Black. Multimat Superlite 25 Sleeping Mat is rated 4/5 based on 8 customer reviews. Lightweight but very good sleeping mat, not a lot to say about it really. It did exactly what I'd expected. Value for Money: 5/5 Thermal Value: 5/5 Comfort: 4/5 Pack Size: 5/5 Tested in: Mountains/Wild Camping. 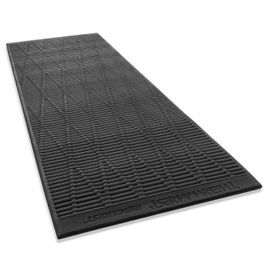 Excellent value mat when compared to Thermarest, of which an entry level mat will set you back at least twice as much. The bag comes rolled up in a small olive green storage case which can be held in one hand easily and is compact enough to be squished into most places within your pack. A small repair is included but I've yet to test it so far. With adequate sleeping area preparation you should be able to avoid unwelcome punctures, the mat is made of a ripstop material. The mat is self inflating but I personally find it doesn't inflate firm enough, two to three breaths normally give it the rigidity it needs after leaving it to self inflate for a while through an easy to use valve (Simply unscrew, leave to inflate then breath into it a couple of times and lock). Once it's inflated to the point it doesn't bend easily it's easily thick enough to sleep on your back or to a degree your side in warmer weather, also doubles up great for a seat and gives noticeable warmth which is always welcome on the hills. The main drawback I find with this mat is the slippery nature of the material. If you're sleeping on any incline you'll find you simply slide off it with your sleeping bag so this requires some creativity to overcome. Storing the mat is easier then you imagine but not extremely quick, you have to roll it up once to get the air out, lock the valve then unfurl and roll it up again to get it to fit within the carry bag. A reminder though that for long term storage it should be -inflated- not rolled up, make sure you've somewhere to put it! Overall: Excellent value, good thermal properties however the slippery nature of the mat can be irritating until you figure out your way around it. I was pleasantly surprised with this product. Good, strong construction and very lightweight compared to other sleeping mats I have bought. It's a good size too, as my height is 5ft 10. There's enough room for a comfy night's sleep. Nice stuff sack too. I've paid double for less superior a product before, so overall it is very good value for money. Shame you can't stitch two together for a larger mat because, considering the price, it is well worth buying two, and just using one as a spare. I'd advise at the very least you buy this product for your sleep system. I have now used this mat bivying on Dartmoor and the North Cornish Coast. It is light, packs reasonably small and has very good insulation properties. Looking forward to trying it in winter conditions. The mat is a tad thin but nonetheless comfortable. Very good value for money. Easy to inflate, good size, not too large. Gives great protection from the ground and cold. Highly recommended. Wow! This mat packs small considering it inflates to a decent size. I'm 6' and this is perfect. Also the price is the cheapest I could find. I would highly recommend. Good quality product. I like the green/dark colors. Comfortable to sleep on. Two points to take into account: 1. The notice advises to store on a long term inflated and not rolled inside its pouch. 2. The synthetic surface is a bit slippery on the ground or with the sleeping bag. In my opinion, a good product in terms of price/quality/weight ratio.